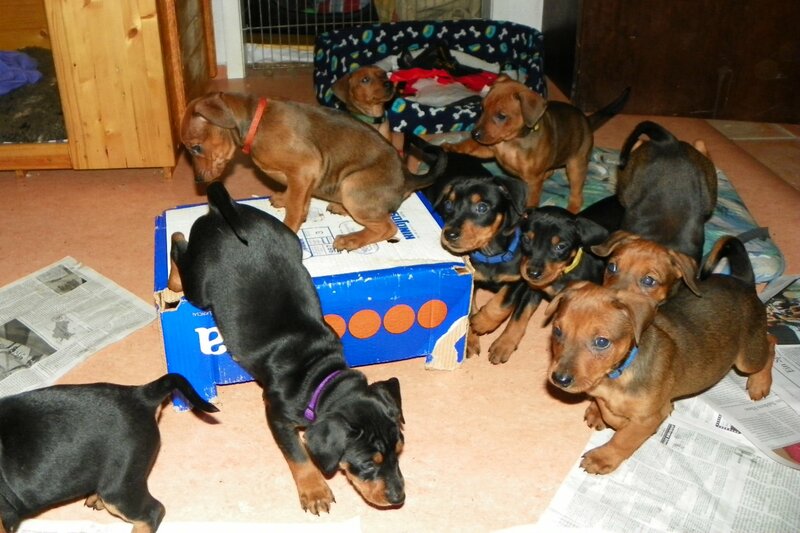 The German Pinschers "vom Suenderbek" say hello! We are amateur breeders of this ancient breed and we are living in north Germany near Hamburg. German Pinschers are not well known, even in their home country. They are often taken for a young Doberman and you might say they are the german version of the Manchester Terrier, three or four inches taller and maybe a little bit easier to handle. If you would like to know more about our kennel or German Pinschers in general your are wellcome to inquire by mail or phone (+49 4321 979930).